Online banking has been an establishment for several years, but online loans have been slower to impress. Fortunately, there are now plenty of good online lenders to choose from. You’re not just filling out the same old forms for your bank (which will be reviewed by a bank loan officer) – true online lenders are changing the way you borrow. How is an online lender any different from the bank you’ve been working with for years? The newest generation of lenders is focused on making it easy to borrow. Quick approval: online lenders can tell you more or less instantly whether or not you’re approved, how much you can borrow, and what your payments will look like. Most traditional banks are different: you can probably fill out an application online, but it might take a while to get an answer (somebody might need to review the application, and you might even need to visit a branch in-person). Better rates: it always pays to shop around, and online lenders often charge less than you’ll pay elsewhere. You should see lower interest rates and smaller service fees (if any). Online-only lenders don’t have the same overhead as banks and credit unions with physical branches, and they don’t face the same regulatory costs. Ultimately, that means you can pay less. Easier approval: banks and credit unions have grown skittish over the years. It’s easy to get a loan if you’ve got great credit. But if you’re still building credit or you’ve been through some hard times lately, a standard FICO score will not do you any favors. Online lenders are more likely to approve lower credit scores and use “alternative” information to evaluate your creditworthiness (such as utility payments and even data from your social networks). Unsecured loans: most online loans are unsecured, meaning you don’t pledge collateral to help get approved. That can make them safer than borrowing against your assets. If you fail to repay an unsecured loan, your credit scores will drop (among other things), but your car won’t get repossessed and you won’t face foreclosure. Getting a loan online is similar to getting a loan anywhere else – although it will probably feel easier. You’ll need to provide personal information such as your Social Security Number and address. Depending on the lender, you’ll also need to provide financial information (such as information about your job and income, your expenses, and more). To get started, just pick a lender and apply. The process should take about 10-15 minutes. For ideas on lenders, read on. The best loans online come from non-traditional lenders. In other words, your local bank or credit union probably isn’t involved, nor are the big banks you hear about every day. New lenders are focused solely on making a specific type of loan. They don’t want to offer checking and savings accounts, credit cards, or business services. The earliest lenders to this space were peer-to-peer (P2P) lending services, and those are still great options for borrowing. Lending Club and Prosper should both be at the top of your list when shopping for loans online. P2P lenders started out with an “eBay for loans” model: anybody could apply for a loan by creating a public listing asking for money, and anybody could bid to lend (picking an interest rate that they wanted to earn, with loans getting funded at the lowest interest rates available). Over time, the system has become more complex. 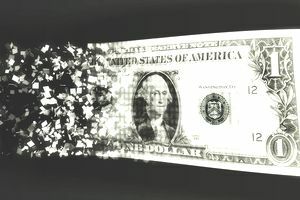 In some cases, individuals don’t do the lending anymore – banks and other large institutions are the funding source behind several prominent marketplace lenders. While Lending Club and Prosper can be used for any purpose, newer lenders try to lend for certain types of loans – and sometimes you’ll do better if you match your loan to their service. For example, SoFi started out doing student loans (and now does mortgages, personal loans, and more), while Kabbage and OnDeck do business loans. Search for lenders, compare offers and go with the best. Of course, you'll want to research any lender to ensure that you're working with a reputable firm. High interest rates or fees: again, shop around. Payday loans will be dramatically more expensive than marketplace lenders. You can get a credit card and pay 20% APR, and many online loans charge substantially less. If you’re going to pay more than that, you’re probably getting a bad deal. No credit check: the fact is that you need decent (but not great) credit to get a decent loan. Anybody who will lend to you without checking your credit is taking a risk – and they’ll expect to be compensated for taking that risk. Up-front payments: don’t borrow from an online lender that demands payment up front. Legitimate lenders might charge fees, but those fees come out of your loan proceeds. “Advance payment” scams are notorious for asking you to hand over money and then providing nothing in return. To get a great loan, you need to shop around, and internet lenders need to be included in your search. Stick with reputable lenders, and you should be able to avoid trouble. Check with your bank while you’re at it, and go with whoever treats you best. Banks still provide valuable services and can help you save time (if not money) – but they’re not always your best option for borrowing.